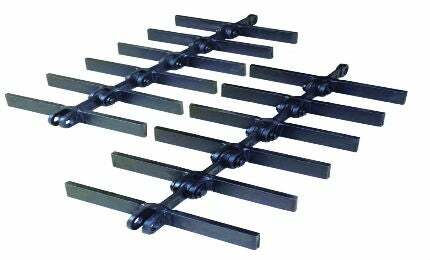 CDM Systems has a range of drag chain conveyor flight designs. The T and BT style flights are used for horizontal and slight incline applications, normally between 0° to 12°, while the U flight can be used for horizontal / incline combinations through approximately 25°. The modified BT, O, OO, and OO* with filler plates are utilized in horizontal/inclined applications through 90°.